City workers using a crane on the Riverside Avenue Bridge try to loosen a log jam. 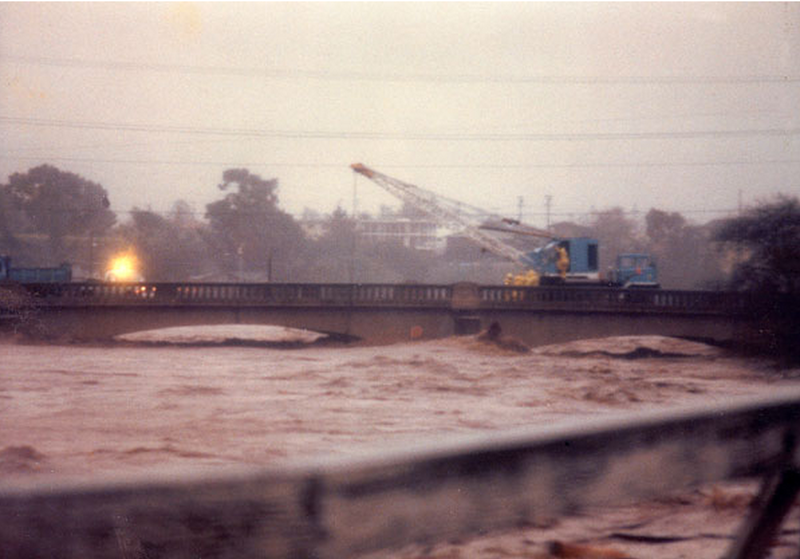 The photo was taken during one of the storms of 1983 that caused the San Lorenzo River to flood. Santa Cruz County, California Bridges: Riverside Avenue Bridge across the San Lorenzo River (2) by Mark Yashinsky is licensed under a Creative Commons Attribution-NonCommercial-NoDerivatives 4.0 International License.